I put on a set of DeTomaso struts last week. Only issue was I found they were about ¾ in too long so it took a little ingenuity to close the (A BFH on a car jack, to push the bottom of pre-mounted shock on top) and someone to hold the deck. The car is late 6000 series with a Delta wing; Total deck & wing weight is 80 lbs; I noticed different mounting set-up on vehicles in Kingston last week-end, so set-up may be a bit different from car to car. I suggest you tape the front corners of the lid and C-pilar should the lid ever over extend and hit. Hey Dave, I see you have the Detomaso shocks non installed. While you have them out, please measure the pressure of one of them on a press or lift like I did. Or maybe you could figure how to sit on one and measure on the scale on the bottom, without it giving a metal enema. Sorry I can't measure the pressure, I already installed the shocks. They are stiffer than the old & weak OEM shocks, as expected. I'm sure the old shocks were not a standard for the pressure. These shocks have superb mounting hardware as well. I would definitely buy them again. They took a lot of pressure off of the deck as compared to the NAPA shock. The NAPA shock is very good quality- BUT they are designed for a different, non Pantera application. The Wilkinson shock is designed for the Pantera. I like the fit and appearance of the Detomaso as well that Wilkinson sells. In my opinion they still seem stiff, but maybe I am just getting old. If you didn't throw those NAPA out the window maybe measure the pressure on those and post it. I gave lb specs on the Mighty-Lift D95004 above, so the NAPA may be of interest to some as well. I see you have the Detomaso shocks non installed. While you have them out, please measure the pressure of one of them on a press or lift like I did. The weird thing is that once I removed the shock on the driver's side, my decklid now rests perfectly parallel to the body. I think it's up a little high, but at least it's straight. Did you try swapping the shocks side-to-side to see if it changes things? Are you sure that the rear bumper stops are adjusted properly? It looks like the left one is too high. The rear latch should be able to pull the whole rear edge into alignment if the stops are the right heights. At least that's the way it is on my car. I have not tried taking the passenger shock off yet. I am already anticipating a major battle to get the driver's side one back on! I like the little bumpers you've got that keep the deck lid edge from bashing into the body with the resulting paint chipping. Simple solution to a pesky problem. I went down to the shop to do the same to mine and found I didn't have that little triangular bit on my decklid for them to bear on, but I'm going to come up with something. Another item for this winter's TTD list. Check with the vendors, they sold a kit for this. Wilkinson has a November special price on decklid struts, $60.00, includes hardware. Anyone measured the pressure on those DeTomaso shocks yet? 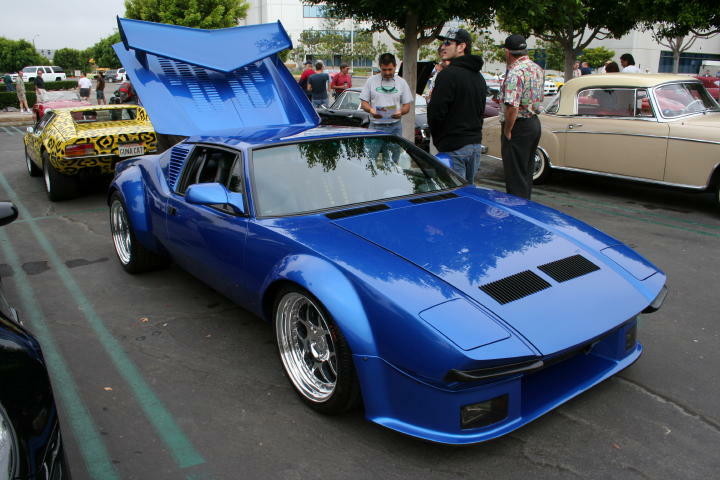 I just heard that Mikes imaculate blue Group 4 had those on it, and it damaged his hood while at Cars & Coffee in S. CA. Someone said it damaged the decklid at the shock area with a huge dent. Can you check that claim (Wilkinson)? If true, it would be the first according to Wilkinson. 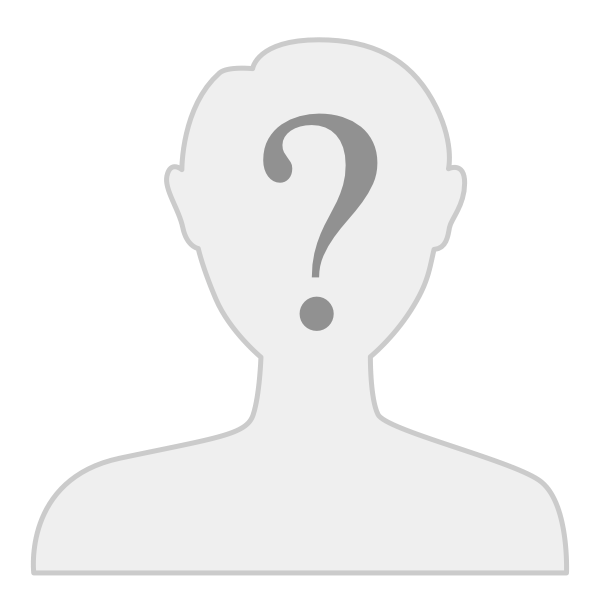 I am interested in hearing what you found. Hey dave. Mike usually takes his car to Byars. Sometimes I see Mike at our Cars & Coffee. If he is there I will sure enough ask about it. But the Pantera dudes at C&C saw it, maybe he has pics. Here is his car below. I sent you a PM & included the link to one of your pictures. Thank you again for the reply & future updates. Well, anything marked DeTomaso has to be correct, right? I have those same 18126A shocks that Byars and Wilkinson sell. Both of them state that they have not experienced any bad issues with those shocks. I admit, they are stiff, especially when warm after a drive warming up the engine bay. Byars indicated to me that these are good shocks because the pressure is very low on the shocks & decklid when it is closed, whereas other aftermarket do not have that feature. This is why I stuck with the DeTomaso 18126A instead of putting on my aftermarket ones that I bought. Now that you have the DeTomaso 18126A, is there anyway you could push them down on a scale to measure the pressure like I did with these others in my post below? I did some measurements with the pressure of my 4 post lift on top of the shock with a scale under it. You could probably do the same with a floor jack against something solid with the shock and scale between. Once and for all, lets find the pressure of these DeTomaso shocks. My electronic scale was not easy to deal with, but most results were 45kg for 1 inch, meaning 100lbs/in, right? Occasionally it showed 55kg, meaning more than 115lbs/in. My electronic scale was not easy to deal with, but most results were 45kg for 1 inch, meaning 100lbs/in, right? Occasionally it showed 55kg, meaning moren than 115lbs/in. Well, now at least we have some comparrisons to other shock strengths, but what is good and what is bad I don't know. I wish shocks would come with pressure ratings. And on top of this, Byars indicated to me that pressure on shocks should be almost nill when the decklid is closed, which is why they like the DeTomaso vs any of the aftermarket which don't do that. This is the reason I left my stiff DeTomaso 18126A on the car rather than use the aftermarket I bought. Only thing I hope is that Pantera vendors back up their material if something occurs with a part they sell. So if your hood or roof happens to bend, then Pantera vendors should cover the repair cost. However, if you went with an aftermarket shock on your own with guessing game strategy, such as PepBoys or whatever and then something happens, the bill should be yours for repairing any damage. All I know is what I have been told, and that is no DeTomaso 18126A has ever caused any problems. Bought a pair from Wilkinsons in July, works excellent even with a wing spoiler. Had my originals struts rebuilt, not worth it, didn't last long and waste of money. Highly recommend buying the Wilkinson struts, will fit perfect. Good list of pressures. FWIW, at least one vendor told me that deck struts over 110 lbs when fully extended will bend the roof over time, and even then are only for winged cars. He won't sell the heavy ones, instead recommending a strut lock on one side to hold up really heavy decklids. For fiberglas decklids, one lighter strut may be better than two really light struts as they don't closely match pressures anyway. Be very sure the extended lengths are correct as well; too long and the decklid edge will touch the roof. Too short and your forehead will find the decklid edge or the corners! Finally, the various years have different decklid attach areas with different size bolts and bushings, and most of these aftermarket struts have replaceable rod ends that unscrew. ... below is a link to the one from Wilkenson. I would be real interested in the pressure of these Detomaso struts. I have the Wilkenson struts on my cat. Over time, I have noticed that the driver side strut has (as Jack warns) begun to lift my decklid to the point where it touches the roof line. Not good. Now I am concerned. A few years ago I replaced both botom shock brackets. One is a little lower. So I am thinking of replacing both again and doing a better alignment. Any tips on where to buy the brackets. The last ones were $35 ea from Bobby Byers. Nice stainless brackets,no complaints. This tread is getting more interesting each day. If the Wilkinson shocks are too stiff, what should we use for a wingless deck? It took a while doing it all by myself with the hood supported through rope to the rafters, but I was able to put the Mighty-Lift D95004 on the car. They were taller so I really had to watch for over extending the hood. I kept a slim cardboard/paper piece between the hinge and decklid body and kept testing to ensure I could still move the cardboard. Near the end of it all the cardboard got a little snug to tugg on it, so that shows I was damn close with the decklid to the hige. Now I can lift my hood with one hand, exactly the right pressure in my opinion. Autozone, $14.50 each. There is probably nothing wrong with the Detomaso ones I had on there, but these are spot on for me. Put on a pair of Autozone D95004's I bought today and my decklid will not stay open. So it is possibly either the Dodge Shadow with spoiler strut or the DeTomaso 18126A's to the rescue. Any one else have that problem with the D95004's? I just installed these NAPA part # BK(Belkamp) 819-5207 (replacement lift struts for a Dodge Omni) Works Great!! section for description / pricing and other items. EA, what did you use for bushings at the deck lid? Bdud, those D95004's should work, or maybe you are in really cold country as all these struts act a little weaker when colder. Why don't you rig up a little pressure test on them if you get them off the car. Just rig one strut between a jack, bathroom scale and something solid to push against, and watch the scale when you begin to jack it and the strut begins to compress. Did the strut have a blue label on it with numbers? I am in upstate NY for the week so I can't look at my label at the moment and can't recall the numbers on it (I ordered D95004's from Autozone, but I am not sure if the strut blue label on them actually had the D95004 number on it or not). Do you guys use some sort of lubricant on your decklid shocks? I noticed mine just got quite stiff when closing "and" when also opening the decklid. Usually with these D95004 brand it took one finger on the hood to guide up and down with the hood. A couple weeks ago I applied some grease and after a few up and down of the hood, it was back to normal easy slide. But now two weeks later it was kind of stiff again, ready for more grease, in which it slid better again after applying more grease and working the hood. Maybe WD40 or something else would be better, or last longer? Thanks. Looks like I need the teflon stuff. I used Sta-Lube moly grease, but it doens't seem to last very long. 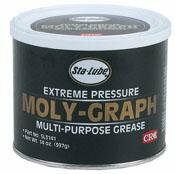 Sta-Lube: hydroxy lithium base plus moly disulfide, graphite and extreme pressure additives. The best multi-purpose grease to use for automotive and industrial applications. I got to this post late so I don't know if anyone still needs a good shock system but i put on a rear decklid shock kit that works great. 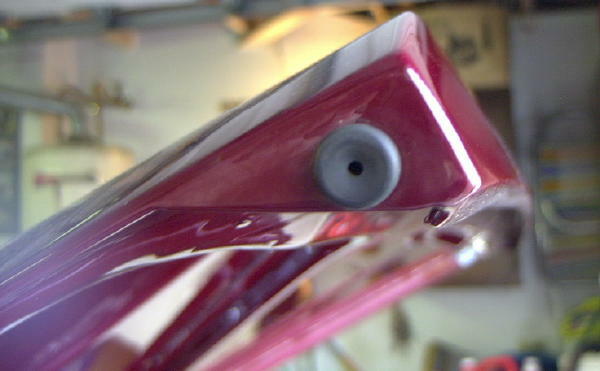 It lifts my decklid with the wing without any problem and it relieves a huge amount of pressure on the body. I bought it from Mark Johnson [mjohnson@ipsco.org]. He makes alot of after market parts for the Pantera and his work is the best.